Etiquette presides over the properly styled Prim armless office chair. Modern to the touch, luxurious to the eye, Prim features deep tufted, skilled faux leather upholstery, and elegant trim for added finesse. 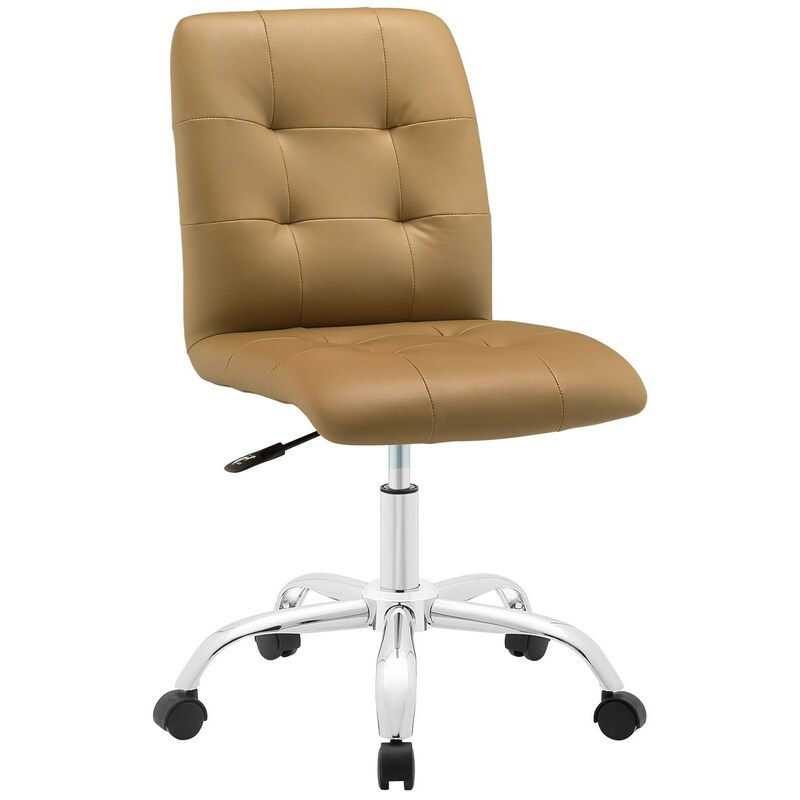 Prim is height adjustable, swivels to a 360 spin, and comes outfitted with a polished chrome steel base with five dual-wheel nylon casters. Perfect for conference rooms, workstations or desks, Prim is a modern piece that works admirably to further the finer civilities of life. 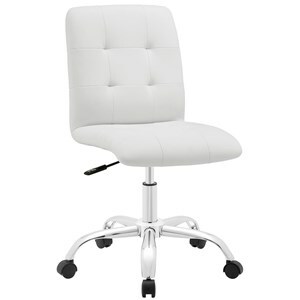 The Prim Armless Mid Back Office Chair by Modway at Value City Furniture in the New Jersey, NJ, Staten Island, Hoboken area. Product availability may vary. Contact us for the most current availability on this product. Browse other items in the Prim collection from Value City Furniture in the New Jersey, NJ, Staten Island, Hoboken area.